The Formula One circus is about to arrive at Honda’s home ground, and the company wants to make the best possible impression. Honda trialed an upgraded power unit during Friday practice for the Russian Grand Prix before reverting to the previous-spec engine over the weekend, but that was enough to have everyone in awe of what they had seen. 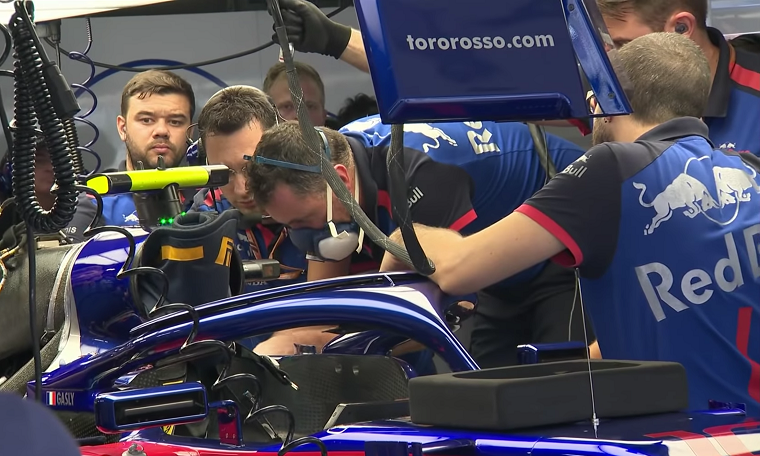 The new engine is said to have pushed Honda ahead of Renault in engine power and should make Toro Rosso competitive in the midfield at the Japanese Grand Prix. Honda vs the Competition: How does it fare? Unfortunately, Honda had to take the engine out after Friday because it suffered from higher oscillations than expected while on the track, which makes the car noticeably more difficult to drive. Oscillations are normal to a certain degree but can be exacerbated if they are not correctly calibrated against the frequencies the chassis also generates. “It’s not very easy but not impossible to optimize the calibration,” said Toyoharu Tanabe, Honda F1 Technical Director. Though Honda had to take out the engine, using the new one on Friday and the old one throughout the rest of the weekend provided the team with a unique opportunity to compare the two directly.